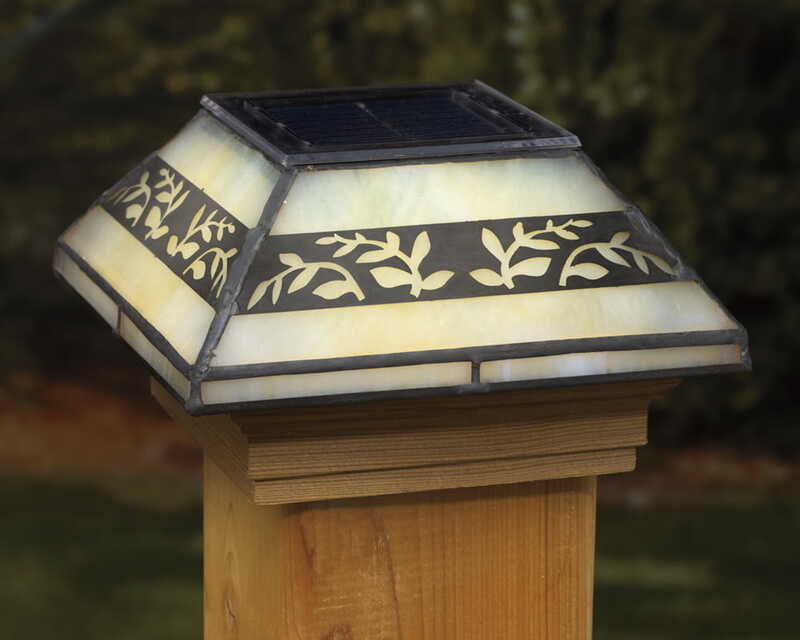 Creative post cap with solar light. 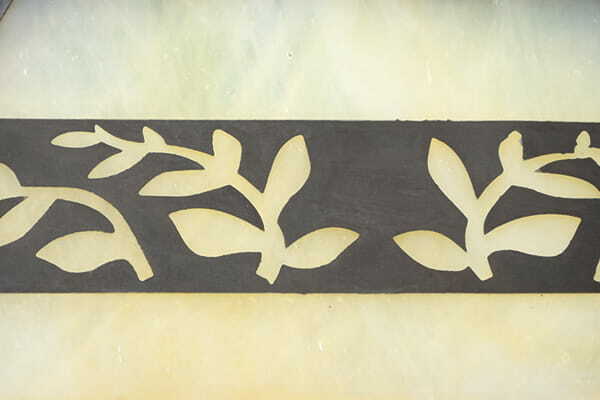 Cutout leaves in a metal band over opaque glass make this post cap special. 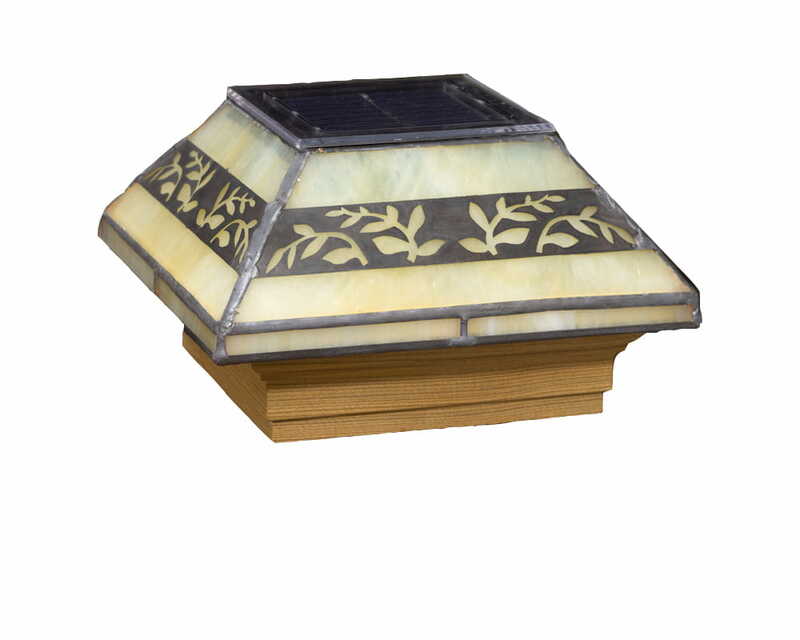 Provides subtle deck lighting wirelessly – and easy to install. Handcrafted with exacting standards and excellence. 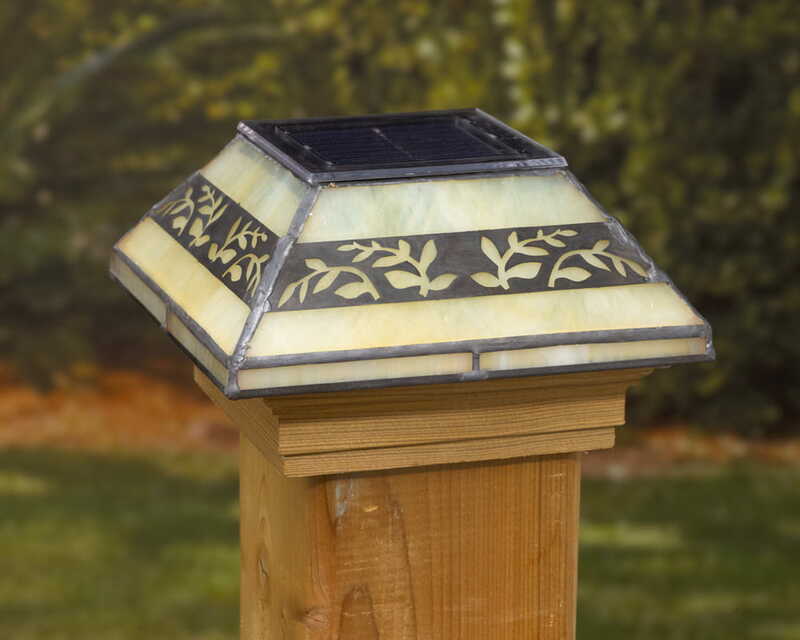 Post cap fits a standard 4” x 4” wood post (inside dimensions: 3-5/8” x 3-5/8”). Available with a Pressure-Treated base.